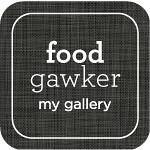 Tzatziki, Tsaziki, Tζατζίκι – Cacık » Greek, Preparation, Peel, Salt, Shred, Chop » tobias cooks! The weather is getting warmer and it is time to come up with some light dishes. Besides that I discovered that I had left out one of the Greek classics. The Tzaziki. Many of you will say now “well that just sounds like the Turkish Cacik!” And I would agree. This Yogurt sauce is the perfect dip but also is perfect for barbecue. It also goes well with fried food like calamari. Peel the cucumber, then remove the soft inside with a spoon. Shred the cucumber into a bowl. Chop up the garlic then crush ist with the flat side of a big kitchen knife. Use some sea salt to turn it into a paste while crushing it.Put it into a bowl and bix it with olive oil and some pepper. Now add the chopped dill and the yogurt. Now mix this sauce with the cucumber. I love Tsaziki and this one looks divine!! I love tzatziki! Perfect during the summer! Log in | 73 queries. 0.445 seconds.